Miles, Tiya. Tales from the Haunted South: Dark Tourism and the Memories of Slavery from the Civil War Era. The University of North Carolina Press, 2015. I was looking forward to this academic analysis of how ghost tours create and distort African American Antebellum history as soon as I found it on Amazon. For the most part, it delivered. 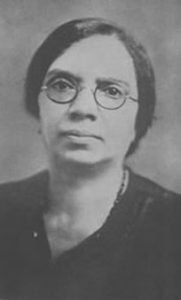 Tiya Miles (1970- ) is an African American historian and professor at the University of Michigan. 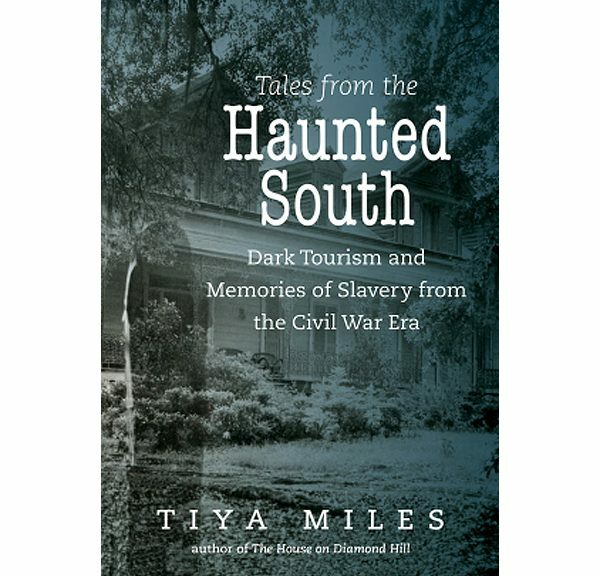 In Tales from the Haunted South, she explores the industry of “dark tourism” (tourism centered on death, disaster and other such tragedies) as it relates to ghost tours in the South. 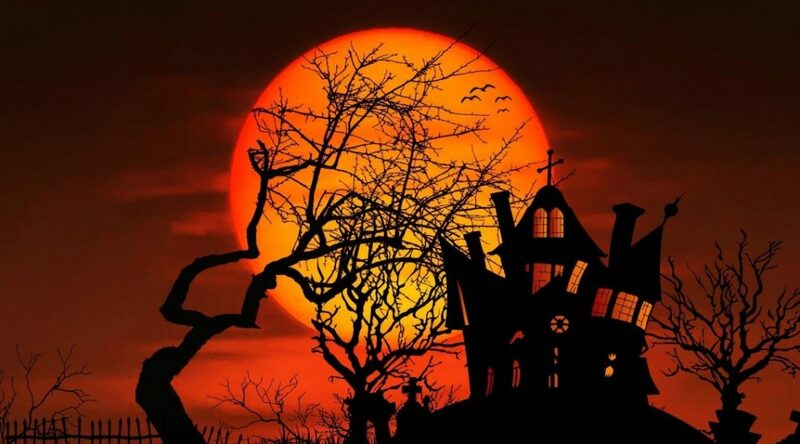 As you may have already noticed, Southern ghost tours (and ghost collections) usually like to go Gothic and indulge in Lost Cause romanticism, especially when it comes to the Civil War. Dr. Miles’ acerbic academic study is a bracing antidote to all that. Dr. Miles comes into this field, not only as an African American historian focusing on the stories of the slaves who have become mere props in the tales of Romantic and Stupid Dead White People of Times Gone By, but as a “Yankee” outsider who isn’t very sympathetic toward the gauzy view Southern historians and storytellers may still hold toward the Civil War and Antebellum South. She also uses a narrative frame for the more academic discussion, in which she develops and gradually explores an equal fascination and repulsion regarding the supernatural and the ghost tour industry. Dr. Miles comes from a Baptist tradition that appears to regard all truck with the supernatural world as not only unsavory, but spiritually dangerous. This adds a heightened and personalizing sense of guilt as an undercurrent to her journey from Charleston, SC to Savannah, GA to New Orleans, LA to the infamous Myrtles Plantation upstream from NO. Sadly, she never steps foot in North Carolina. In her defense, it’s also outside her intended geographic scope. It’s a short book that requires a sharp focus. As we get to know the subject matter, we also get to know her as a person exploring a shadowy corner of her cultural heritage. Sometimes, this personal subtext works very well. Sometimes, not so much. 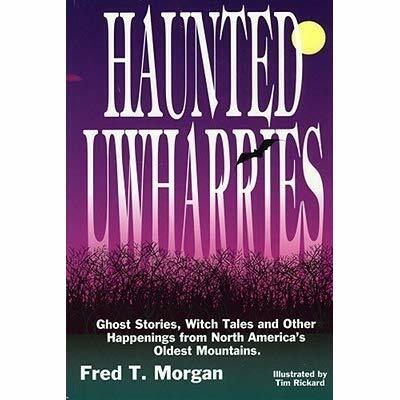 This is an essential book in any bibliography of Southern folklore. Dr. Miles does an excellent job of showing how white people in the Southern ghost tourism industry are stuck in a Gone with the Wind narrative of mossy Greek Revival plantations, in which they use the real-life sufferings of African slaves as a spice and hors d’oeuvre. Shadowy slave ghosts are trotted out as an exotic feature on these tours for a largely white audience. This distorts popular teaching of African American history and re-victimizes historical slave victims, on whose bones America was built, all over again. She also tells a rousing good ghost tale (has even authored a novel or two) and is quite able to insert some creep into all the standard academese. There’s the Savannah ghost tour of the Old Sorrel-Weed House she and her husband attend. Later, they do some research and find that the compelling tales of slave suffering they encountered on the tour have no known basis in fact. The stories and characters are fiction. Obviously, this disappoints them after the properly chilling tour. But back home in Michigan, Dr. Miles finds that one of her photos (of an alleged slave cemetery buried under Calhoun Square) unexpectedly shows an orb. Orbs are soap-bubble-like distortions that appear on digital photos. They are usually tricks of light reflection or refraction, dust motes, water droplets, or insects, but sometimes, they have no discernible cause. As she and her husband, rather creeped out, are trying to explain this digital artefact away, Dr. Miles’ young son comes in and sees the photo. He then starts talking emphatically about a “thing” in the photo that is not the orb and that neither of his parents can see. However, Dr. Miles has a tendency to acknowledge the corrupting influence of slavery as an institution (something even its proponents knew by the 1850s), while ignoring the fact that its corruption was so terrible in its effects because it was universal. For example, she talks about Native Americans in rather distant terms, as victims of European expansion and aggression (and even mentions the Vann Plantation, about which she has written elsewhere), without ever really digging into the aspect that Cherokee plantation slave owners like the Vanns and Stand Watie fought for the Confederacy in the Civil War. Their descendants were anything but sanguine about sharing tribal identity with the descendants of their freedmen in the late 20th century. Like white plantation wives, Native Americans were both victims and abusers in the Antebellum South. There are some other odd blind spots. After clearly establishing that the teenage slave “mistresses” Molly (Sorrel-Weed House) and Chloe (Myrtles Plantation) probably never existed (though women like them certainly did), Dr. Miles spends a lot of time on their apocryphal suffering while ignoring real-life women like Marie Laveau in New Orleans who held leadership roles in African religion and the local African American community. These women negotiated a very delicate balance with the dominant white culture to avoid extermination as an early American type of heretic. I was disappointed that Dr. Miles discusses Laveau mainly in passing when she spends a great deal more time (and, frankly, more sympathy than I ever would) on the monstrous New Orleans society dame Madame Delphine LaLaurie, her Creole heritage, her abusive final husband, and her Frankenstein complex. 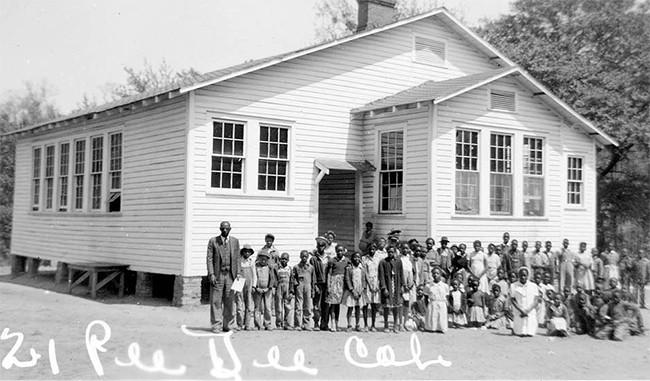 In the process of trying to unearth real African American history, Dr. Miles sometimes contributes to burying it further. Her point – that LaLaurie’s brutality likely wasn’t really all that remarkable in the Antebellum South among the angry white plantation wives who had to negotiate their own precarious and unfree status not so far above enslaved black women their husbands owned and sexually exploited – is well taken. However, she doesn’t appear to have made a connection that LaLaurie’s myth does not come from whole cloth. It is very close to the story of Elizabeth Bathory, a liminal European female serial killer of high status, and contains elements (the abusive younger husband) from Chaucer’s notorious Wife of Bath. These possible literary allusions suggested that Madame LaLaurie’s story has been greatly heightened, beginning immediately after her flight from New Orleans. Dr. Miles also implies that quadroon balls (in which biracial women sought white male protectors) were likely an invention of Spanish rule, but appears unaware of a similar tradition of “temporary” wives involving Christian men and Muslim women in late medieval Castile. It’s interesting that Molly and Chloe are two apparently fictional characters introduced into real life tragic mysteries surrounding the sudden deaths of two white wives of plantation masters and used to excuse the possibly culpable actions of those real-life men. It’s also interesting that Chloe was apparently invented by a white woman in the late 20th century who was paranoid that her husband was cheating on her. I would have liked to have heard more about some of the real-life Mollies and Chloes, but most of that part of the book is about Madame LaLaurie and her abusive white counterparts, instead. LaLaurie’s victims never get a proper voice. Also a problem is that there are times when Dr. Miles makes some rather visible goofs and omissions. For example, she mentions Supernatural and Ghost Hunters early on as reality ghost shows when Supernatural is most decidedly horror fiction. She does discuss Toni Morrison’s Beloved and mentions Tananarive Due in her end notes. But she never mentions that important and well-known African diaspora writers like Octavia Butler (Kindred) and Nalo Hopkinson (The Salt Roads), and movements like Afrofuturism, Steamfunk, and Sword and Soul, already deal with the issues of slavery and ghost tales the way she says African Americans should. It doesn’t feel so much that she ignores them as that she simply isn’t aware of all the people of color writing horror out there because (as she admits at the beginning), she herself has a horror of horror. Toward the end, in her rather incoherent final chapter, she claims that she encountered no African American tour guides on any of her tours. Just the chapter before, she spends considerable time describing a young, openly gay African American tour guide at Myrtles Plantation. 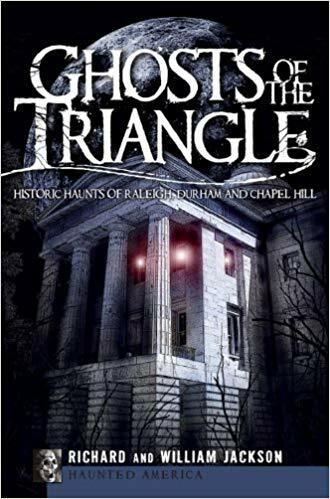 She begins the book with a white tour guide on a standard historic house tour speaking rather sarcastically about the popularity of ghost tours. This makes her rather uneasy (since the potted history of the historic Southern house tour often has precious little African American content). Yet, she ends the book settling comfortably back into her previous contempt for dark tourism, with an African American historical tour guide who so assiduously avoids commercializing influences like ghost tours that he doesn’t even explain the history behind the use of haint blue in Savannah. This color was used on houses (particularly porch ceilings) by the African American Gullah people, probably to confuse spirits (who could not cross water). It likely became used in Antebellum Southern plantation houses because the people building them were African American slaves and freedmen. 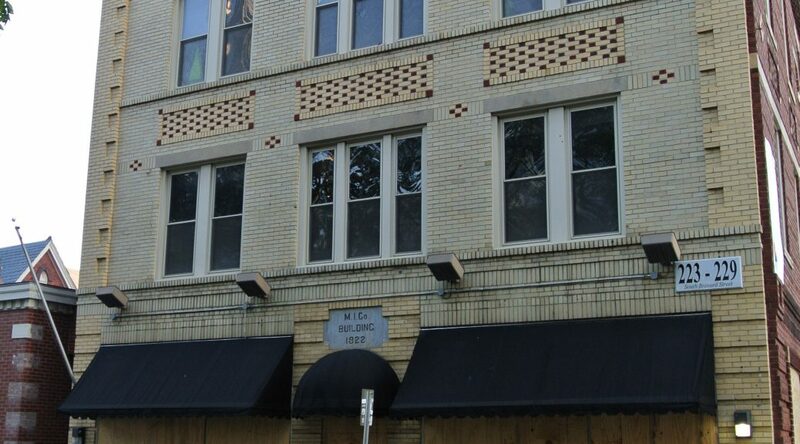 Far from a silly stereotype about the South invented by white ghost tour operators, haint blue illuminates a pretty major part of African American contribution to Southern architecture that the author appears to have missed.